I decided to extend my 28mm French force for Songs of Drums and Shakos with a bit of cavalry. 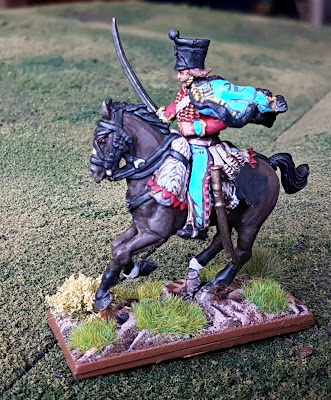 I've always had a soft spot for Hussars (I think it's the idea of slinging your coat over your shoulder all the time and hardly ever wearing it) so I decided that's what I wanted. 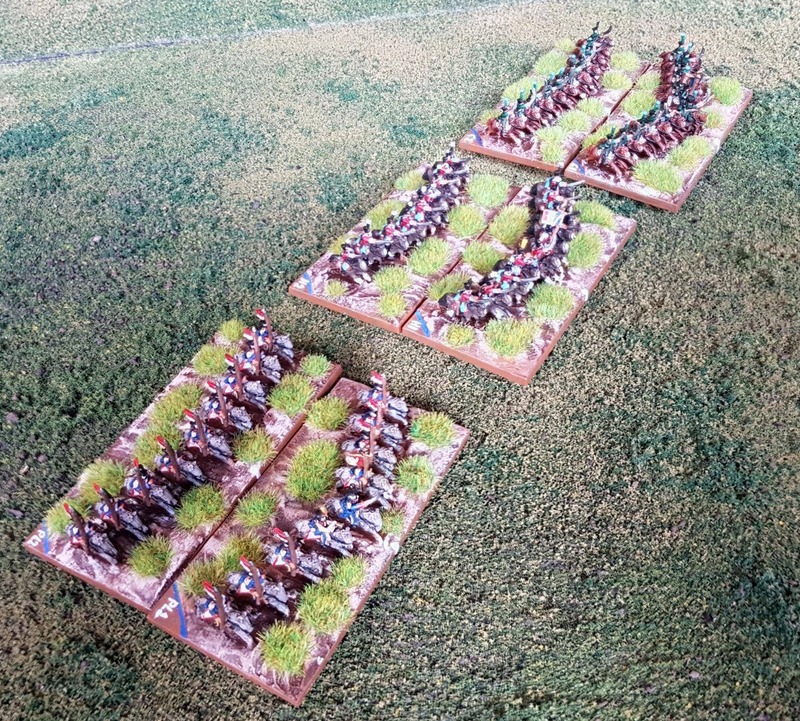 I spotted the Perry plastics, but didn't want a whole box. 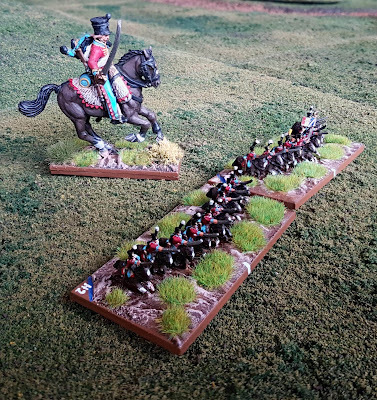 Luckily there are sellers on ebay just selling 3 models at a time for a reasonable price so I plumped for those. 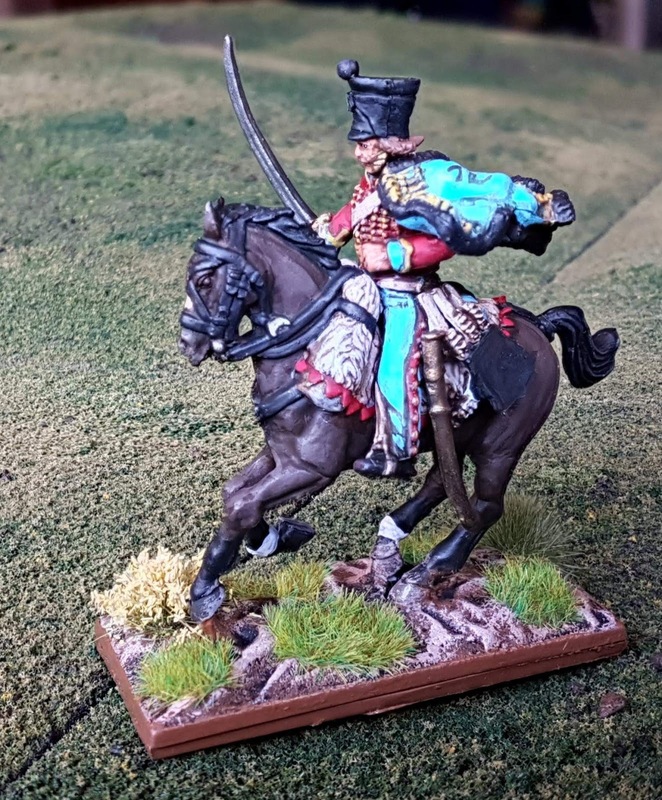 I finished the first model earlier in the week just before starting on some 6mm French Cavalry... 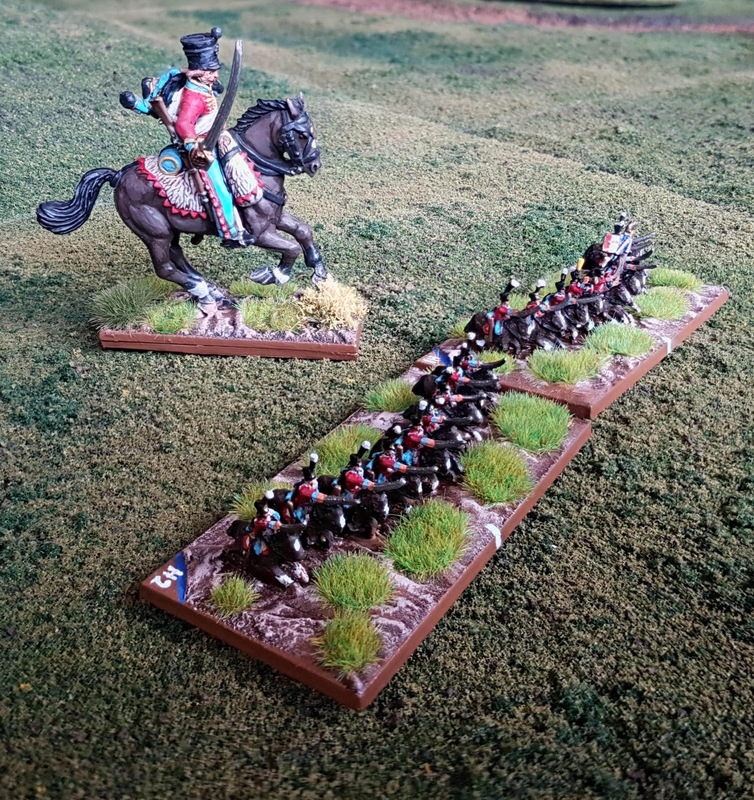 I decided to do the first unit of those as the same unit, 9th Hussars. It's quite helpful to have to do the investigation once for both scales. 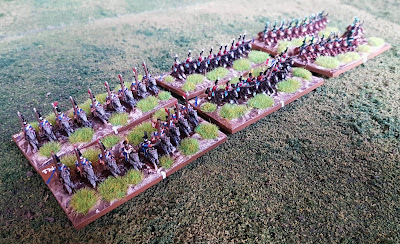 I've also completed some Polish Lancers and Chasseurs-à-Cheval in 6mm. 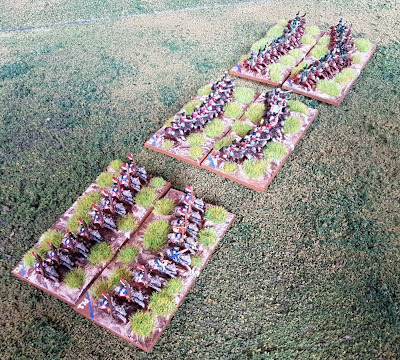 That's all the 6mm French I can get on to for the moment until my order arrives from Heroics and Ros, hopefully next week.